When it comes to cigar pairings it's rare that I go for a cocktail over a glass of Merlot, single malt, or bourbon. Why? The cigar is pure and I often feel that the pairing partner should be just as pure. For example, a cigar is made of tobacco only, its aged naturally, and rolled by artist. On the same note the aforementioned spirits are made and produced naturally as well. 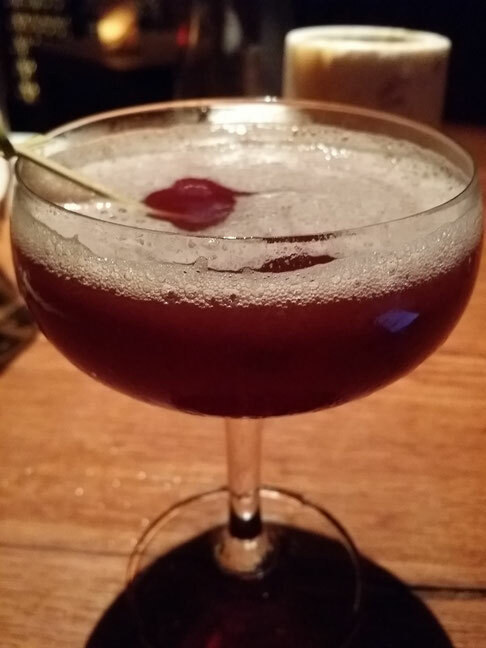 Cocktails have a tendency to throw a monkey wrench into the entire machinery of the pairing. I know that sounds like the rantings of a snob but so what. At my age I know what I like and I know why and I am sick of not expressing it for fear of offending members of the thin skinned nation. I like authenticity, but when it comes to a cigar pairing there are some worthy compromises especially when it comes to one of my favorites cocktails, The Manhattan. I will not get into the weeds of its origins (there are loads of reading on that) instead I will focus on the synergy of this beloved classic as it relates to a cigar. A cigar needs to borrow sweetness from its pairing partner at a bare minimum and the temperature once served should only be slightly chilled (never ever never should ice enter the equation). The pairing partner should also balance with the body of the cigar in that a powerful full bodied cigar may need a medium to full pairing partner or the clash will kill the synergy. The Manhattan offers all of that especially when served neat with a high quality rye whiskey, bourbon, or single malt. The sweet vermouth is a smooth base, the bitters animate the sweetness, and the bourbon is where the magic happens. I prefer a powerhouse bourbon in the form of Blanton's or Booker's. Both have ample uniqueness and thrust with the perfect amount of flavorful elements. Make sure that its served neat and enjoy.